I'm sure you've all caught the buzz on the chosen color of the year from Pantone! 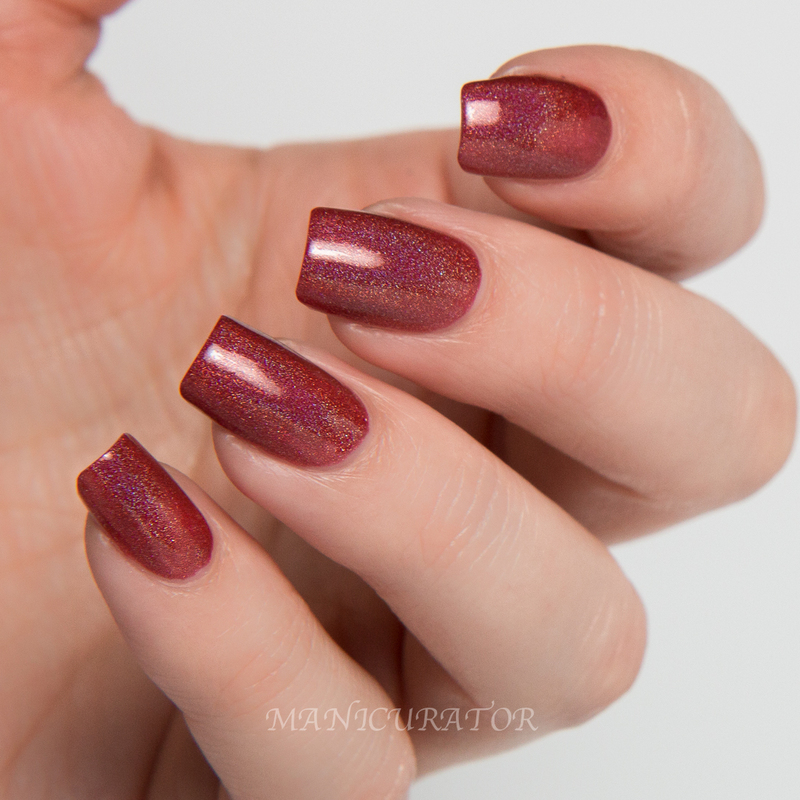 Well, so has KBShimmer with Men Are From Mars-ala releasing Jan. 1, 2015! This unique shade initially didn't excite me. But I've grown to love it. It looks quite different in different lighting, at times more red than brown, sometimes taking on an orange-ish hue. It photographed too red for me so I did do some altering of the color in the editing phase trying to get it as true to life as I could. This is 2 easy coats (perfect formula) and no top coat. What are your thoughts on the Pantone shade? And do you think KBShimmer did a great job creating Men Are From Mars-ala to match it? Men Are From Mars-ala will be available Jan 1, 2015 for $8.75 available internationally at www.HarlowandCo.org and www.KBShimmer.com. To be honest, marsala isn't my favorite color, but the holo in this makes it really pretty! Great swatches. Kbshimmer won Marsala of the year with this one, so getting this!!! Beautiful! I can't wait to try mine! Looks great on you! I'm not a fan of Marsala, but the polish is lovely. Looks like it would make an incredible autumn polish! I love this shade, and I'm loving the color of the year! This is a gorgeous colour. 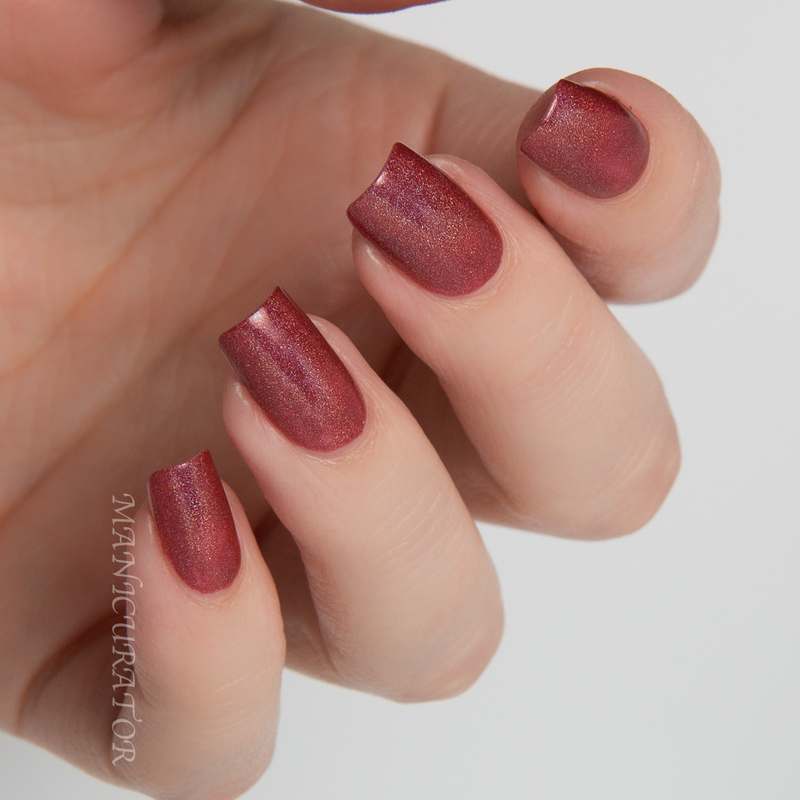 I know some people are not a fan of Marsala, but it's a pretty shade, especially for polish. I hope you'll have a wonderful Christmas and I wish you a happy and creative 2015! Oooh I think that is beautiful!! I wasn't a huge fan when the color was announced either, but it definitely has it's place. This polish looks like it would be beautiful on so many different skin tones too! I totally agree about some colors being harder to adore. I was ALL ABOUT Radiant Orchid, if only it could have had a 2 year run, LOL!